Premier Training Systems was founded with the mission of helping athletes reach their goals through a healthy and well-balanced approach to exercise. Just like you, we are passionate about performance and use the most sophisticated techniques while making the day to day training simple and easy to understand. We recognize every athlete is unique and requires individualized training for success. Every training session has purpose whether it is an active recovery day or high intensity intervals. Levon was born and raised in Massachusetts, a state rich in running tradition, which is where he found a passion for endurance athletics. The excitement to train and research different training methods led him to Western Colorado University in Gunnison, Colorado where he earned a bachelors degree in Exercise Sport Science. In 2010, he completed the Master's program in Exercise Physiology at The College of St. Scholastica. After graduating and working in Cardiac Rehab as an Exercise Specialist, he also started an Assistant Coaching partnership with The College of St. Scholastica Cross Country team for two years. Through his own personal experience with endurance athletics and coaching, he is a very well rounded coach who keeps an open mind to different methods of training. 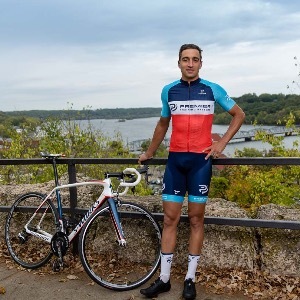 Levon's certifications include; USA Cycling Level 1, FMS Level 1 and 2 and The Running Clinic. Success. Coach Levon Kalemkiarian has been notified of your message.